Situated in a privileged, highly sought-after location, these beautiful apartments for sale would make an ideal primary residence, investment opportunity or pied-à-terre. They combine original Modernista features with the highest quality finishes. The building has been fully renovated and comprises a spectacular 3-bedroom apartment on the main floor (Principal), a beautiful duplex penthouse (available soon), and a further two 1-bedroom apartments, two 2-bedroom apartments and four 3-bedroom apartments. The apartments overlook a south-facing interior patio with trees, providing lots of natural light. All the apartments are finished to an exceptionally high standard, including a fully integrated kitchen, soundproof windows, high resistance laminated parquet flooring and porcelain sanitary ware in the bathrooms. The apartment is situated in an exceptional location in Eixample Left, one of Barcelona's most sought-after residential areas, within walking distance of two of the city's most prestigious streets, Avinguda Diagonal and Passeig de Gràcia. It is close to numerous services, public transport links, shops, tourist attractions and fashionable bars and restaurants. The area offers excellent public transport links including Metro (Diagonal), buses, FGC (Provença) and RENFE (Passeig de Gràcia that connects the city with the airport and Sants train station). 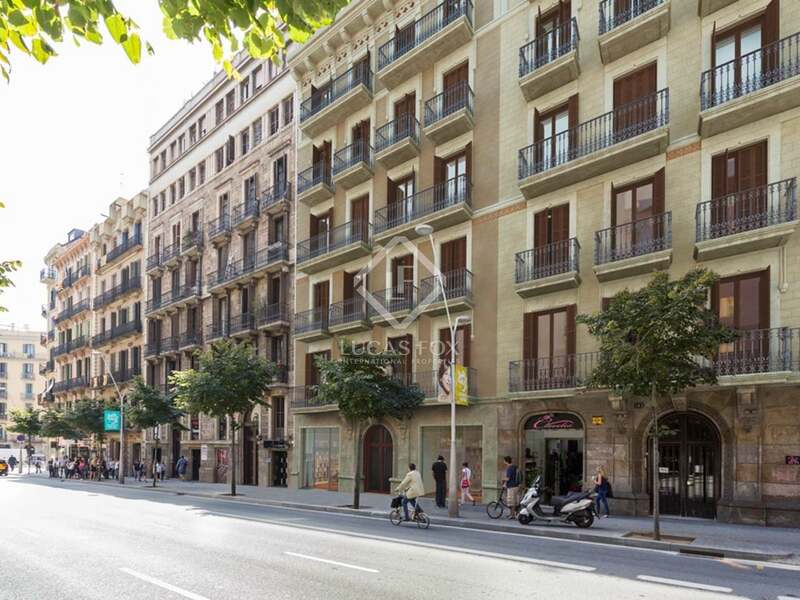 The property is a couple of minutes' walk from Avinguda Diagonal, one of Barcelona's main shopping and business streets and home to many international consulates, banks and a fantastic array of designer boutiques and upmarket restaurants. The luxury amenities in this corner of the city are unparalleled, with incredible gastronomy and fashionable cocktail bars. Calle Balmes is also set just two blocks from the iconic Passeig de Gràcia, a beautiful tree-lined boulevard and one of Europe's most exciting shopping streets. The street is home to some of the biggest international luxury brands, from Louis Vuitton to Prada and Chanel, as well as numerous high street favourites. Passeig de Gràcia also hosts Modernista masterpieces Casa Batlló and Casa Milà (popularly known as "La Pedrera") by world-famous Catalan architect Antoni Gaudí (both are UNESCO world heritage sites).